The Internet has become a big part of the everyday consumer’s life. 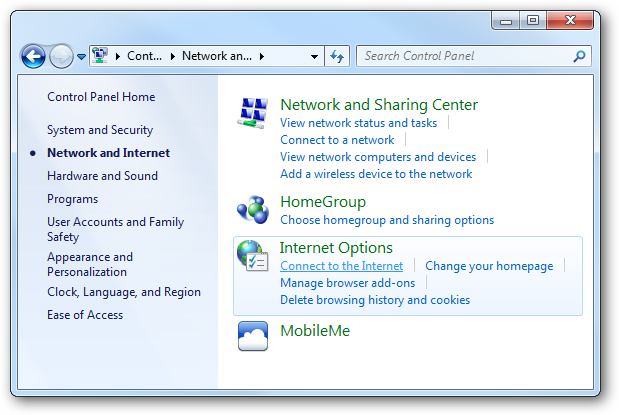 Windows 7 makes it very easy to connect to the web wirelessly. Since most computers come with built-in wireless now and hot spots are popping up all over, you want to be able to connect to the Internet wirelessly at a moment’s notice. While some still choose to connect to the web the old-fashioned way, wireless has quickly become the way to go to do the things we love online. 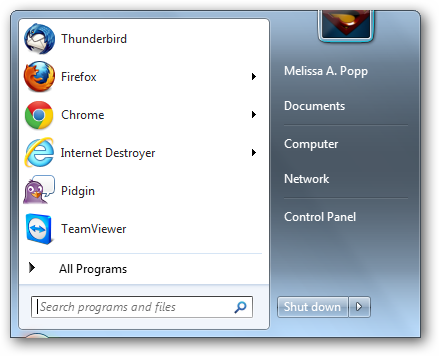 If you are not connected to the Internet wirelessly, your taskbar toolbar will show you an icon to indicate it. Anytime you are not connected or lose connection, the wireless bars that show you how strong your connection currently is will dim and be replaced by this icon. Now you want to click on the “Network and Internet” header. Under “Internet Options,” you want to click the “Connect to the Internet” option. You will now be prompted to choose what type of Internet you want to connect to. Depending on what type of provider you use and what type of set-up you have, you will have to choose either wireless, broadband or dial-up. Wireless is when you connect via router or a network already set up. This requires that a network is already set up or that you set it up before you begin this process in Windows 7. This will most likely require a password you need to connect to it. Make sure you have it nearby before you begin or you will be forced to go find it. Broadband is a type of cable or DSL service that requires as username and password to connect to. 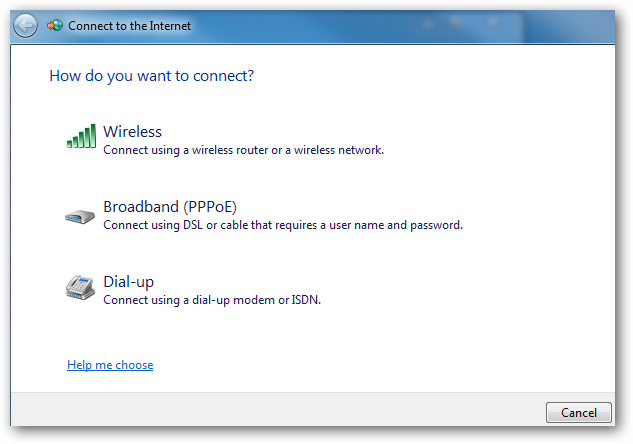 Normally, after you set up a broadband or DSL connection the first time, you can save your username and password on the computer so you do not have to enter it every time you connect. Some broadband providers required you to enter this information every time. Dial-up is an old type of service still offered by a few providers. This is the cheapest way to connect to the Internet but also the slowest and most prone to issues. 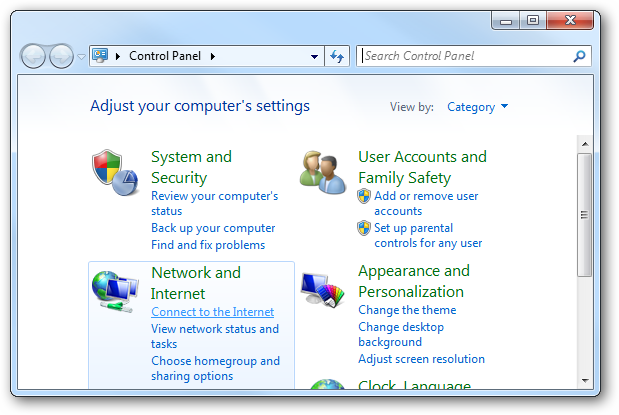 Most Windows 7 users will be connecting via wireless or broadband services, very few use dial-up anymore unless they are forced to in an area. If you choose the “Wireless” option, a pop-up will jump at you from the Taskbar. You want to select your network. You may see more than just your network here. You will be able to pick up every network within range with your wireless card. 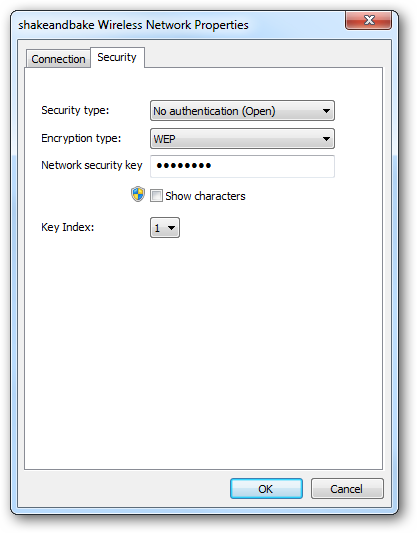 If the wireless network requires a password, you will have to enter it to continue. If it does not require a password, you want to be careful surfing the Internet because it is less secure and open to attack from any number of predators online. It will take a few seconds to connect to the wireless network you selected. If it takes longer than 30 seconds, the network may be having issues with its own connection to the Internet. Once you are connected, the taskbar icon will change to show you are online. If you are using a certain network frequently, you can change the way your computer connects and interacts with them. In order to do that, you want to click the wireless icon in the taskbar. 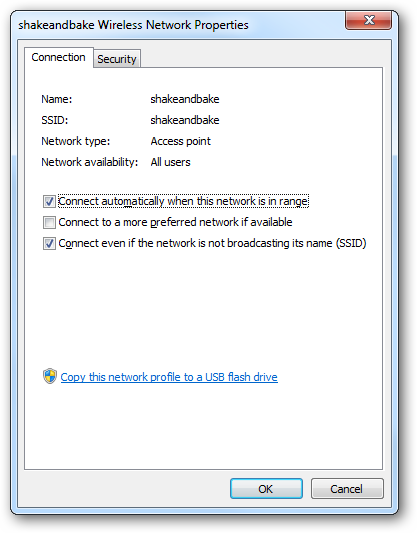 Click on your network, then right click on it to open another menu. You want to click on “Properties” to open up the basic options for that network. Under the “Connection” tab, you can make sure that you automatically connect to that network when you are within range. 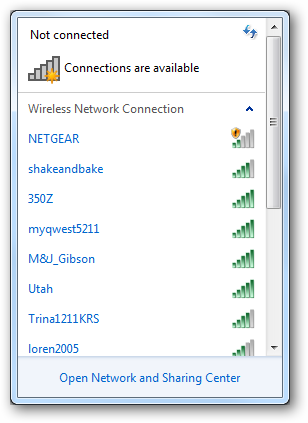 You can also choose to connect when the network is not broadcasting itself SSID name. If you click on the “Security” tab, you can change the type of authentication required if the network changes preferences on its end. You can change the encryption type and the security key here without having to walk through the rest of the steps again. 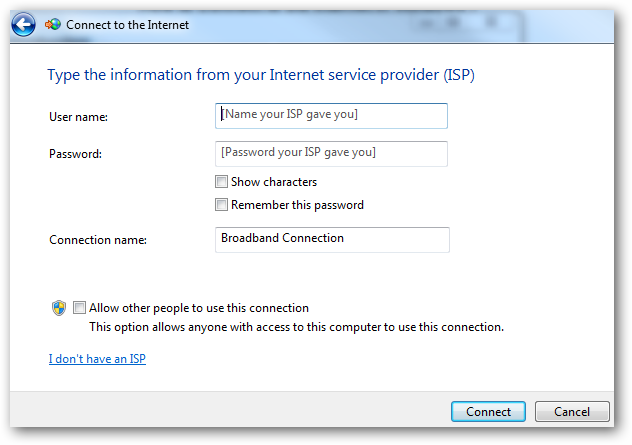 If you choose “Broadband,” you will need the username and password from your provider. Once you enter those, you can name the connection anything you wish along with choosing if others can connect to this particular set-up. Click “Connect” to continue and after a few minutes, you will be connected via broadband Internet. If you choose “Dial-up,” you will need the username and password along with the phone number provided to you from the dial-up service. You also name this connection and choose if others can connect to it. Click “Connect” to begin the dial-up process. This can take several minutes to complete, and if anything conflicts with the call out from your computer you will have to start the process all over again. If you cannot connect to the Internet wirelessly, you can still connect to a router or modem directly via wired connection. This requires you to turn on the Local Area Network option that was most likely disabled from startup if your computer came with a wireless card built-in. 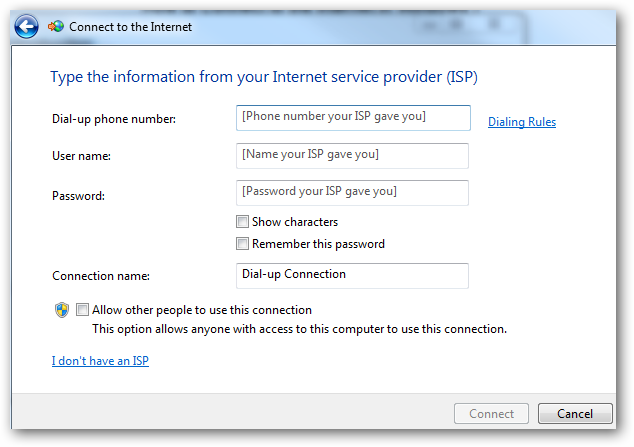 Conclusion – Should you be weary of connecting to the Internet on Windows 7? If you are using Windows 7 to connect to the Internet wirelessly, you want to make sure you have adequate anti-virus protection. Since surfing the web wirelessly has become the standard and so many consumers are utilizing the Internet every day, you open yourself to a world of trouble if you are not protected from the harms it brings to your doorstep. Surfing the Internet via wireless connection does not have to be daunting if you are protected. Before you set up your wireless network connection, take the time to invest in anti-virus protection to keep Windows 7 running and safe as you surf the Internet.